This is 5 of 5 today, so don’t miss the previous ones. This turned out really cute. Just one bite but an explosion of flavor. I bought the chocolate Cordial cups at World Market. 12 per box. 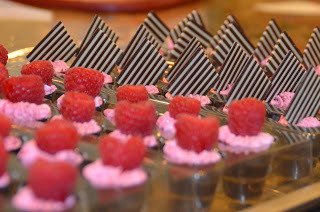 The little striped chocolate garnish squares are also from World Market. Fold in 10 oz. 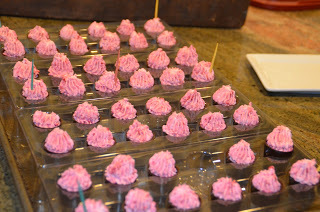 frozen raspberries, thawed and drained. Fold into cream cheese. Whip 1 cup whipping cream until soft peaks form. Gently fold in half the whipped cream, then the second half. 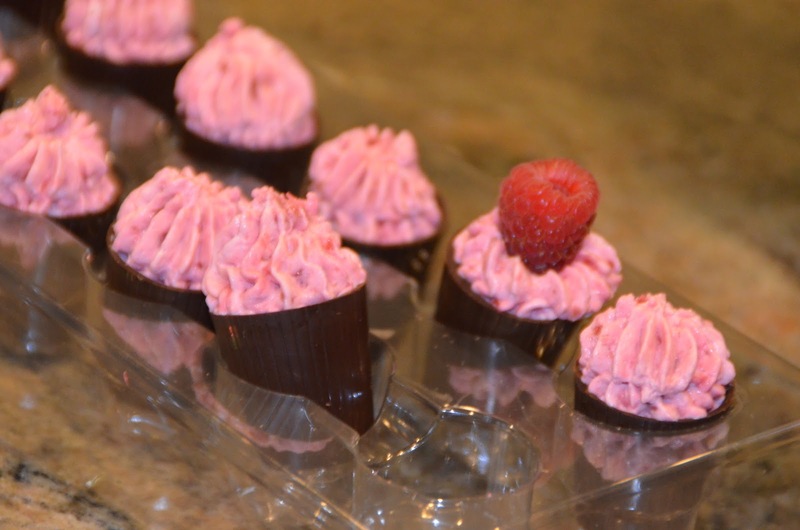 Place in a pastry bag with a decorative tip and pipe into the chocolate cordial cups. Garnish with a raspberry or a chocoate garnish. One recipe will fill about 60 cups.